Christa T. Johns holds a Ph.D. from the Free University of Berlin in Early Modern German History. Her dissertation on Luthers Konzilsidee was published in 1965 by Walter de Gruyter Press, Berlin. 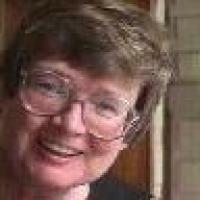 In 1965 she emigrated to the United States where she taught German language and literature at MIT until 1968. While serving as Research Assistant in the Department of History and as an Extra Mural Tutor in German at the University of Zambia from 1968-1970 and again from 1974-1975, she translated Emil Holub's Travels North of the Zambesi, 1885-1886 into English published by Manchester University Press in 1975. From 1972 to 1974, she was a Visiting Assistant Professor in the Department of Religion at Duke University and a Research Fellow at th e Institute of Late Medieval and Reform ation Studies at the University of Tübingen. From 1976 to 1982, she served as Editorial Secretary for an Encyclopedia of the Middle Ages, Renaissance and Reformation at E. J. Brill publishers in Leiden, Holland. Since 1993 she has been a lecturer in the German Department at Duke University. Courses taught include German language and conversation on various levels and a course on Resistance to Authority from Luther to Hitler. From 1984 to 1992, she simultaneously served as Associate Director of the Duke University Summer Session and from 1994 to 2001 she held the positions as Director of the Duke Office of Foreign Academic Programs and as Assistant Dean for Study Abroad.